Whiskey. Need I say more? Okay, movies. 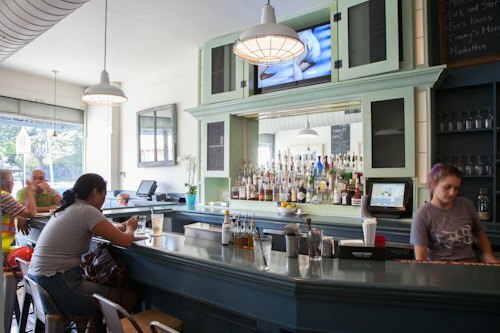 Movies, whiskey, beer, and a menu that will make your mouth water. So listen, and I will tell you a tale of the best thing you can do with your (probably pretty boring) Tuesday nights. 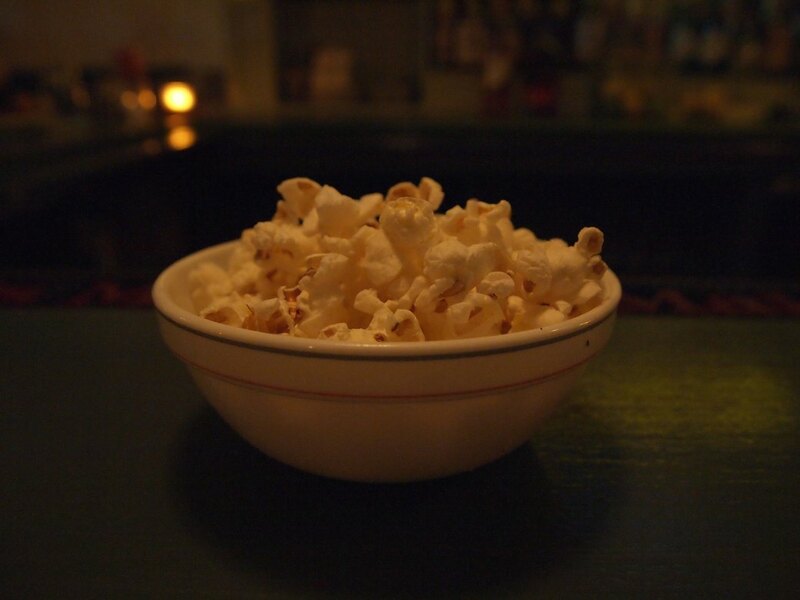 The cozy bar and hot brunch spot 983, otherwise known endearingly as Bushwick's Living Room, is holding movie nights every Tuesday evening from 5PM to 1AM. With each week comes a new movie selection, generally following a theme of some kind. All of the movies are chosen by a member of the staff. I stopped by this past Tuesday, and the selections for the day ranged from Top Gun, to Blues Brothers, to No Country for Old Men, to Ghostbusters, and even the Truman Show. If that's not a list worth watching, we probably won't see eye to eye in cinematic taste. Oh, but this magical place of libations and the silver screen doesn't end simply with a movie or two, it gets better. Each week they will feature a signature cocktail and several drink specials to accompany the theme of the night. I was lucky enough to have my soul filled with the ever-delicious Sazerac, the brainchild of 983's resident drink creator, Andy Mills. 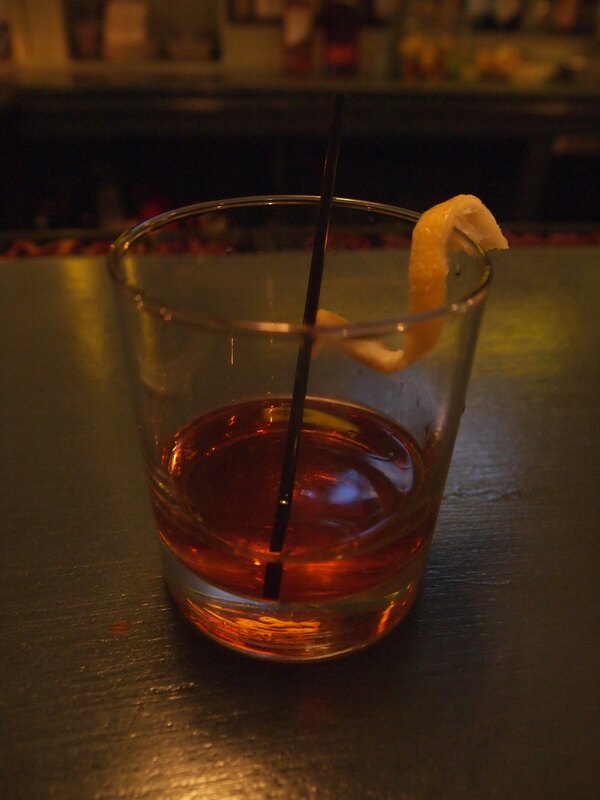 Sazerac derives inspiration from the old-fashioned cocktail, utilizing rye whiskey, demerara syrup, Peychaud's aromatic bitters, and raw sugar, all of which coalesce into a sweet and incredibly warming cocktail. Upon my first sip I was moved, feeling the warmth of it invigorate me at my very core and brighten my cheeks a slight red. I couldn't help but smile at how perfectly it matched the cooling weather outside, as well as the dark tone of No Country For Old Men. The movie nights came about thanks to the head bartender, Jon Ferrera, a kind and welcoming man who has been in the business for over eight years. When he's not tending the bar, his passion lies in screenwriting, and he was even a semi-finalist in the 2013 Nicholl Fellowship for his script ROUGH DRAFT. A love for film and bartending inevitably led to featuring movies while he was on shift. He soon found that regulars enjoyed being able to watch a movie, rather than sports. That being said, sports fans need not worry, as they do have an extra screen at the bar if there's a game you're dying to see on a movie night. And did I mention that Jon is known to provide freshly made popcorn to the patrons?! Next week, November 12th, the theme will be the Evolution of Ryan Gosling. They'll be screening Murder By Numbers, The Believer, Drive, and Lars and the Real Girl. Though the featured drink for this is still up for debate, you can trust that it will be delicious.